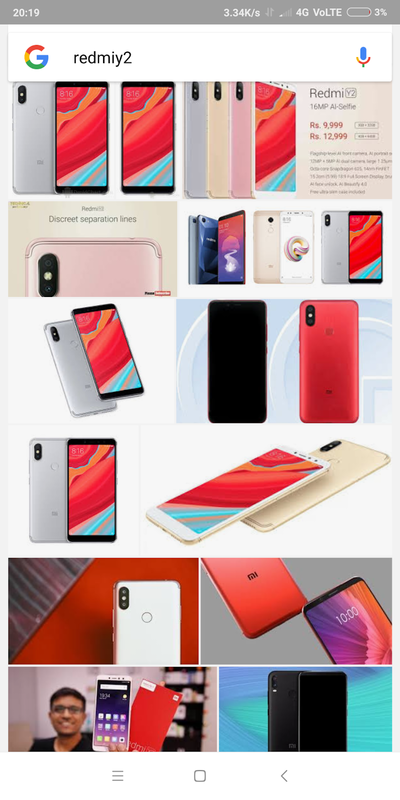 All Details About Redmi Y2: If you are looking for Redmi y2 mobile to buy , then this right place to find out 32 Gb Redmi y2mobile,h ere you can buy Redmi y2 mobile with no sufferigs. Based on Android Oreo, the Xiaomi Redmi Y2 boasts a 5.99-inch HD+ display. The smartphone is powered by a Snapdragon 625 chipset and 3GB RAM and features a fingerprint sensor. Armed with a 16MP front and a 12+5MP dual rear camera, the handset ships with an internal storage space of 32GB which can be expanded via a microSD card. It is back ed up bya 3,080 mah battery.